“Grace burst through my bedroom door with such force that she nearly fell over. ‘Freddie isn’t in France!’ She announced triumphantly as Tilly came crashing in breathlessly behind her. I sat up in bed, where I have been watching videos of baby sloths and tutorials on how to do eyeliner slicks all morning. ‘Yes!’ Tilly yelled, and started doing a little victory dance on the spot. For Hannah and Sam this summer is about one thing. Losing one thing and finding another. The thing they both want rid of is their virginity, and it has be gone before Uni starts! The thing they want to find is their Lobster; their one true love, in order to do the first thing. But the path of true love never runs smoothly and while Hannah seems to think Freddie, the waistcoat wearing Hollywoods-esque guy from her year at school, is her one the events soon to happen may suggest otherwise. Sam meanwhile is trying to get over his ex, falls for a girl he doesn’t know the name of and snogs a Panda. Things this summer are certainly going to be interesting, but will either of them reach their ultimate goal? Oh my word. I haven’t laughed so much in years and that was within the first few chapters! What a book! 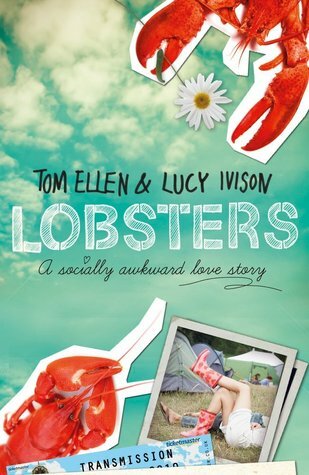 Lobsters is the ultimate slap in the face for anyone who is 18 and thinks they have their life sorted out, because from the events of this book you’ll soon realise you don’t! The story is brilliant; two strangers, one summer before everything changes, and a whole load of boys and girls to choose from. Both Hannah and Sam want to lose their virginity and whilst Hannah thinks she’s got it figured out that all messes up, as do her feelings towards her best friends. Sam isn’t as fussed about the ‘who’ as long as it happens, or at least he doesn’t think he’s bothered until he falls for Hannah, who he is pretty sure has already been taken. Its fairly obvious right from the start that romance will blossom between the two of them but whats great is how it blossoms and exactly what goes on between then and the end of the summer. The writing really brought the characters to life for me and I could see them all clearly. I could understand how these very different yet alike girls got to become friends and just how Sam got lumber with Robin but loved him for all his quirks. I loved how the characters would fit into my life at that age and how the fast approaching end of school days were making things pretty crazy. But the thing I loved most was my feelings towards the characters at certain points in the books. Sam was an idiot and a moran at times. Hannah was a whinging git at times. At others though they were brilliant, they were being the friend they needed to be, they were letting their hair down, and being their own people. I loved the scene in the Mad Hatters Tearoom Tent when it was just the two of them more than any point in the whole book because it was brilliant and they were being who they were, without a second thought as to who could see them. However, although they were brilliant I loved other characters more. A shout out has to go to Hannah’s Nan for just being there, and not caring what came out of her mouth yet it always being the right thing, almost anyway. And Stella, although I hated her at times, I loved her too because she was always true to herself, even if she wasn’t with the people around her. Then there was Robin… oh my Robin, I need you in my life, though I do wish you would embrace your inner Harry Potter geekiness… hopefully in a few years you’ll be proud of being a potterhead… I can imagine its a hard thing to admit to at 17 when you’re trying to be cool! The book worked so well because of its split perspective characters, you got both sides of the story and that worked so well because of the writers. You can tell that Tom Ellen and Lucy Ivison not only put themselves into this story but worked on it together and are very comfortable together. Their relationship with each other as friends comes out in their writing and I think it makes to book flow even better for it. I absolutely loved Lobsters because I can remember from my own teen years just how much difference one summer can make your life and this book really brings that to life. It felt real, it felt like a true life story written down on paper and it was brilliantly funny in a way that I could seriously relate. I honestly think you’d be mad if you didn’t read this book, even if you are yet to reach the grand old age of 18, and especially if (like me) You’re already old and love to reminisce on the good old days of your youth! This sounds so funny and adorable! I so want to get my hands on it!